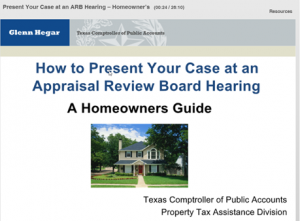 Who are appraisers & why is my property tax so high? ¿Quiénes son los tasadores y por qué es tan alto mi impuesto de mi propiedad? Welcome to Comanche Central Appraisal District! Comanche Central Appraisal District is responsible for appraising all real and business personal property within Comanche County. The district appraises property according to the Texas Property Tax Code and the Uniform Standards of Professional Appraisal Practices (USPAP). 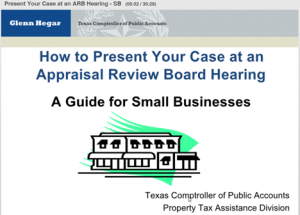 The mission of Comanche Central Appraisal District is to discover, list and appraise property as accurately, ethically and impartially as possible in order to estimate the market value of all property within the boundaries of the district for ad valorem tax purposes. Our goal is to provide our users with accurate, usable information to assist in easily finding any data regarding property taxes in Comanche County. If there is data you need that does not appear on our website, or if you have suggestions, we invite your input. Comanche County Appraisal District is responsible for the fair market appraisal of properties within each of the following taxing entities: Comanche County, County Road, City of Comanche, Comanche ISD, Hospital District, City of DeLeon, DeLeon ISD, City of Gustine, Gustine ISD, Sidney ISD, Water District, Blanket ISD, Gorman ISD, Hamilton ISD, Lingleville ISD, Mullin ISD, Rising Star ISD, Zephyr ISD, Dublin ISD, Hico ISD, May ISD, Priddy ISD. During this time, appraisers will be seen throughout the county measuring new residential or commercial construction, and reviewing or updating characteristics of existing real property and business personal property accounts. Appraisers drive a Company vehicle with signs and will have business cards identifying them as employees of the Comanche Central Appraisal District.